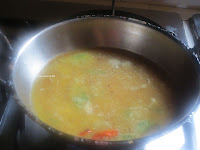 Rasam it is basic item in every south indian kitchen. It took so long for me to post it I cannot believe it. 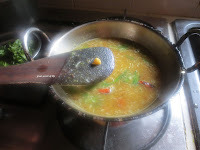 I have posted different rasam before not normal dhal rasam. This is a must for me if I eat home. I love to drink it plain, with papad, payasam or even with vada. Dhal and rasam rice is one of my favourite... My kids eat Rasam only when they are sick. This is good dieter dish too. 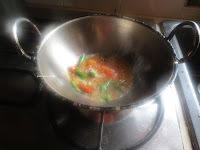 Add Tomatoes and fry for another 30 sec. 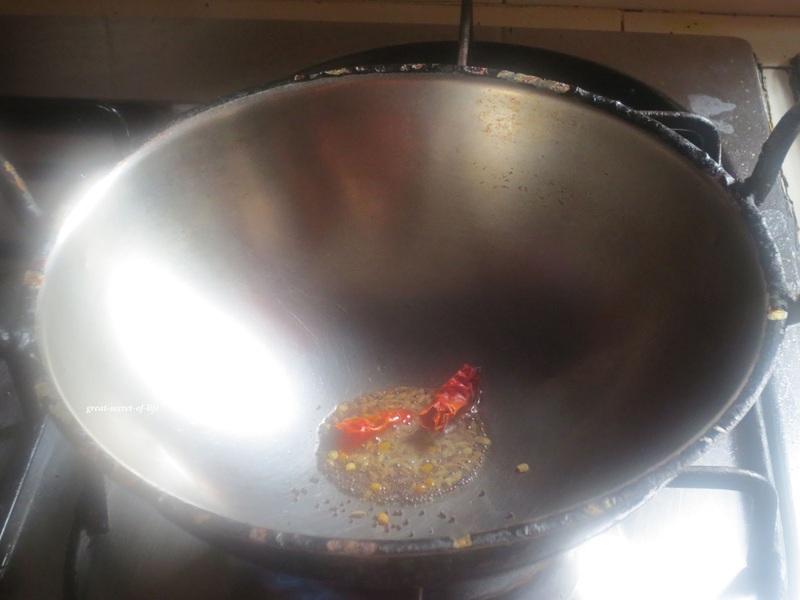 Add tamarind paste and Rasam Powder. Let it boil for a min. Add dhal and water. Let it boil for another min. Add jaggery and boil till bubbles start to appear. 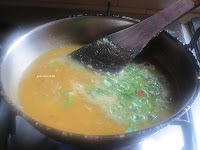 Add Coriander leaves and let it boil till foam forms and switch it off. Love Rasam anytime..Delicious and comforting.. Rasam and potato makes a heavenly combo..
tempting rasam and love the cute bucket. 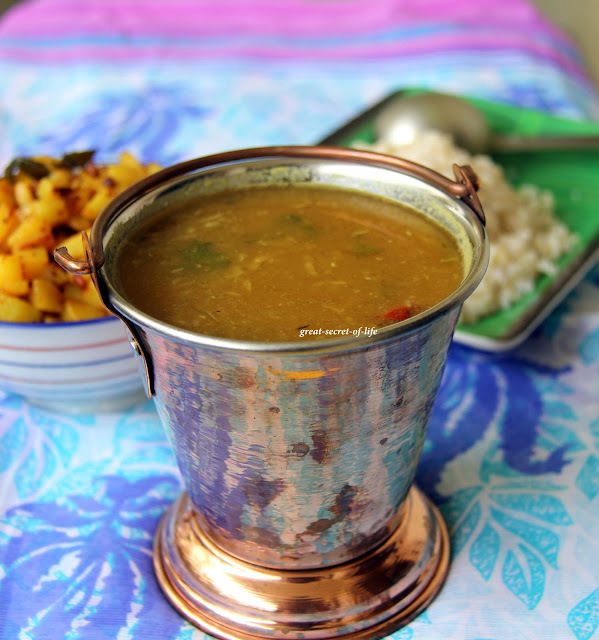 Thank you for Sharing Veena..
delicious yummy lip smacking rasam. 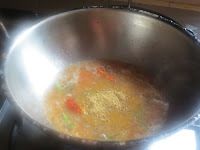 Daily i always prepared varieties of rasam,looks super!! 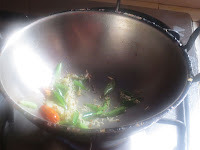 More rasam please and we will welcome it with open hands. Its so good and flavorful, that which points to the ingredients and the amazing pictures. 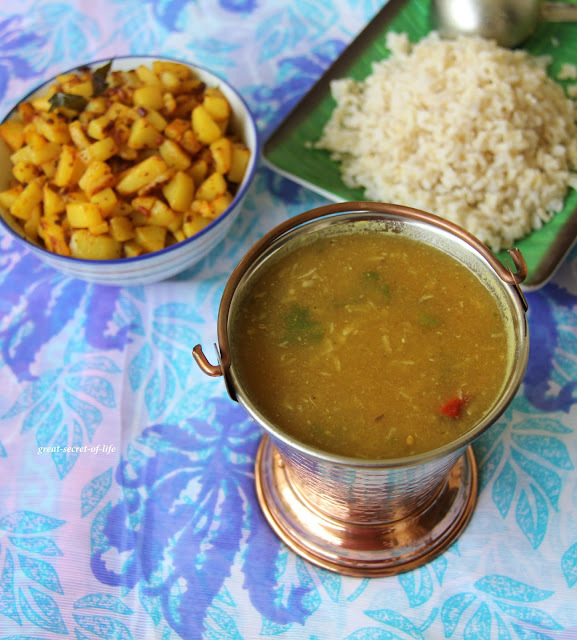 Hmmm...love this simple and comfort food, the best ever combo rasam n aloo fry..both looks inviting! 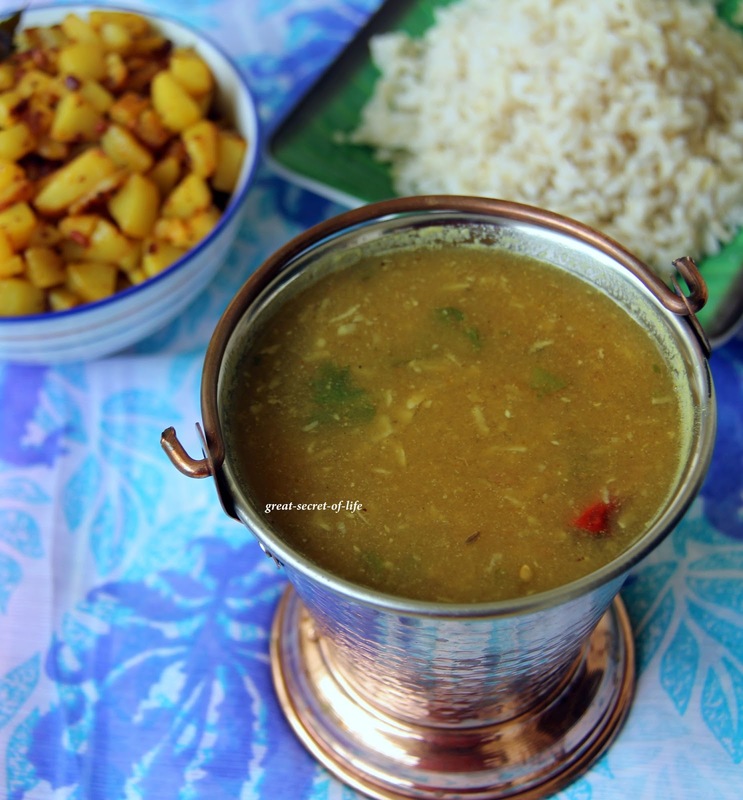 i love the aroma of dal rasam veena.. nice clicks..
A South Indian's all time favourite! Looks very tasty!!! Looks so yummy! Is that brown rice you serve it with?